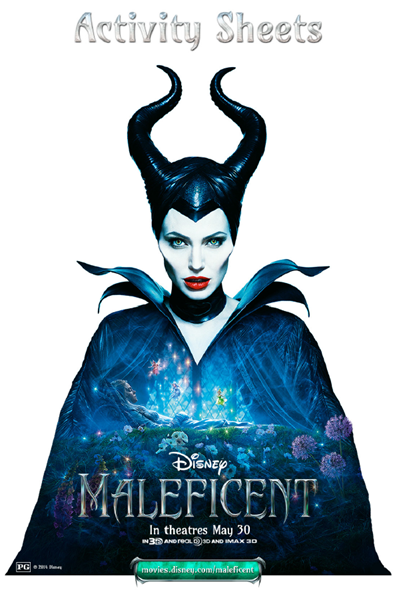 FREE Disney's Maleficent Family Activity Pack! You are here: Home / FREE Printables / FREE Disney’s Maleficent Family Activity Pack! FREE Disney’s Maleficent Family Activity Pack! Are you looking forward to Disney’s Maleficent? I am! Here are some great FREE printable activity sheets for Disney’s Maleficent! Disney’s Maleficent Family Activity Pack <— Click link to get yours NOW! “Maleficent,” is the untold story of Disney’s most iconic villain from the classic “Sleeping Beauty,” reveals the events that hardened Maleficent’s heart and drove her to curse the baby, Aurora, only to later realize that the child may hold the key to peace in the land.